The lead-acid 12V300Ah Battery Smart Charger is mainly designed specific to the concentrated storage and management mode of combat readiness batteries by our army. Now, the batteries in reserved vehicles of our army are always in the inactive state and placed in the battery room of the equipment warehouse for long time, and needs charging maintenance regularly by a specially-assigned person, which wastes time and achieves a poor effect. However, by means of the Battery Smart Charging Maintainer, the battery capacity may not be reduced no matter how long the batteries are stored, no daily maintenance or servicing of the batteries is required, and the vehicles can start at any time. Our Battery Smart Pulse Charger saves a large amount of military expenditure. Moreover, it ensures the complete performance of the starting batteries of the vehicles and improves the maneuverability and quick reaction capability of the army. Turn off all switches of the Battery Maintenance Charger and connect the power line with 110V/220V mains socket. 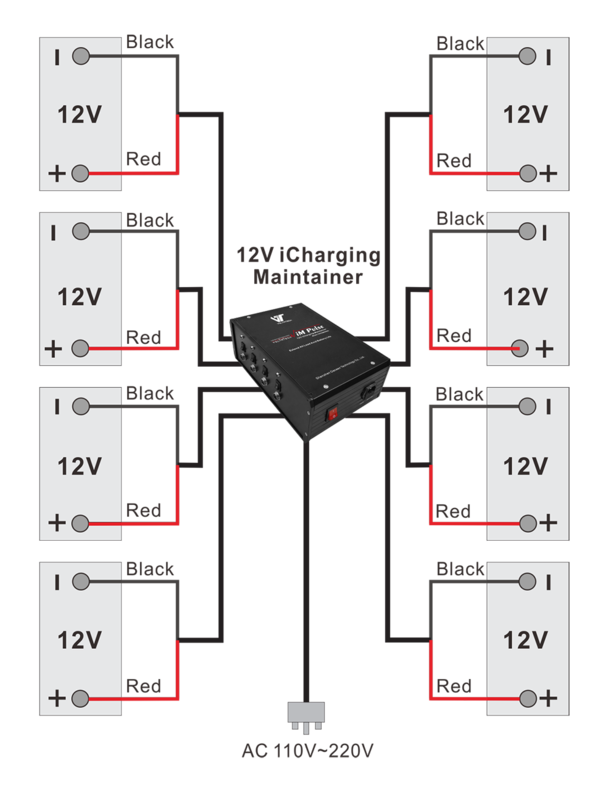 Connect the output line of the lead-acid Battery Smart Pulse Charger with the eight output ports of the machine, connect the red clip of the output line to the anode of the battery, and connect the black clip to the cathode of the battery. Looking for ideal Battery Smart Charging Maitainer Manufacturer & supplier ? We have a wide selection at great prices to help you get creative. All the Best Battery Charger are quality guaranteed. We are China Origin Factory of Battery Repair As Battery Saver. If you have any question, please feel free to contact us.